Pre-order now for delivery in April. We will email you as soon as our beautiful new stock arrives! Another wonderful, playful design from our collection - which will delight children and adults alike! 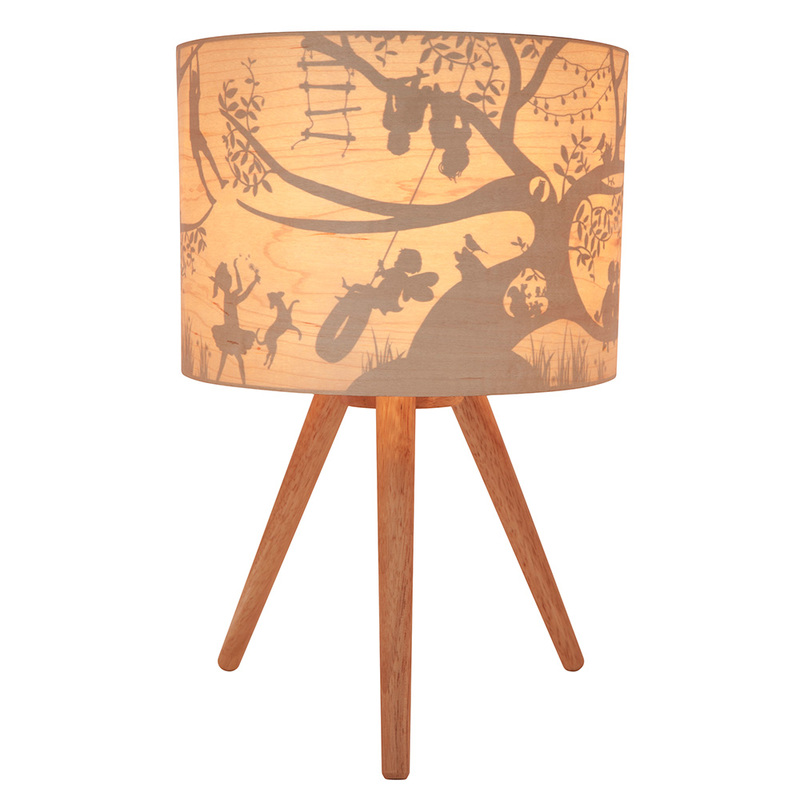 Capturing a multitude of details, this whimsical scene has been printed on the inside of the lovely timber veneer shade, so that when the lamp is turned on, the light shining through the image silhouettes creates an almost magical effect! A new illustration for this signature style from innovative Australian label Micky & Stevie. 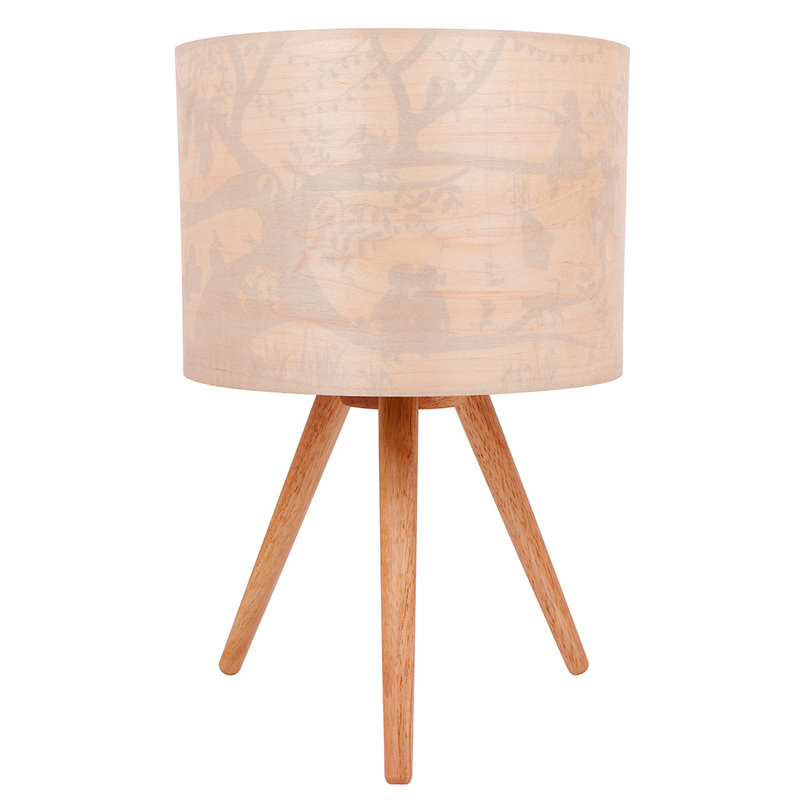 The Treehouse Timber Table Lamp also features a new style timber base with lovely slender scandi-style legs. Solid timber base, E27 fitting (bulb not included). 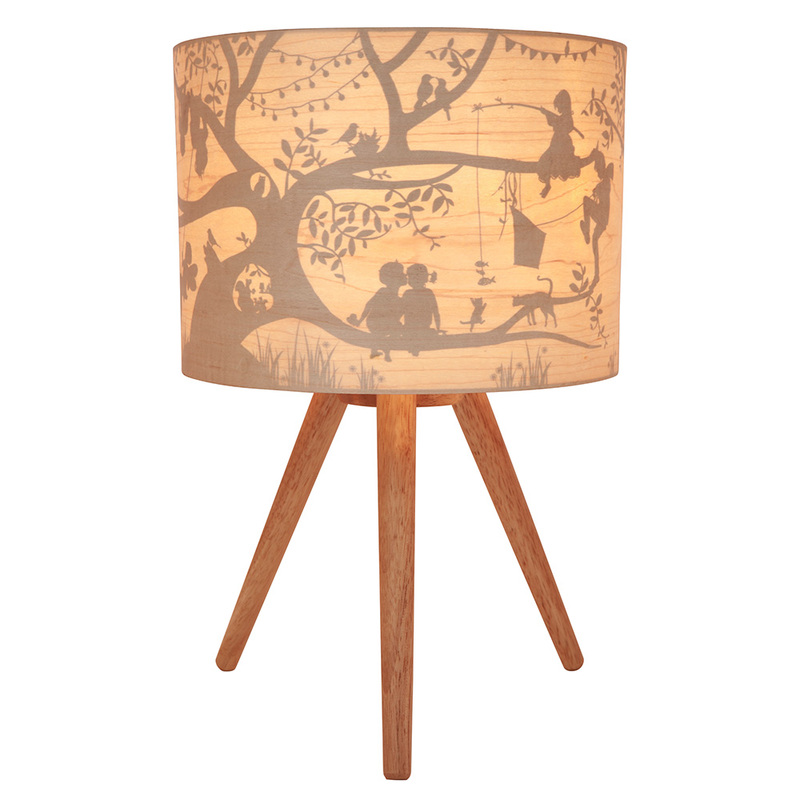 * Treehouse Timber Table Lamp ships as a large parcel and does not qualify for FREE SHIPPING offers.